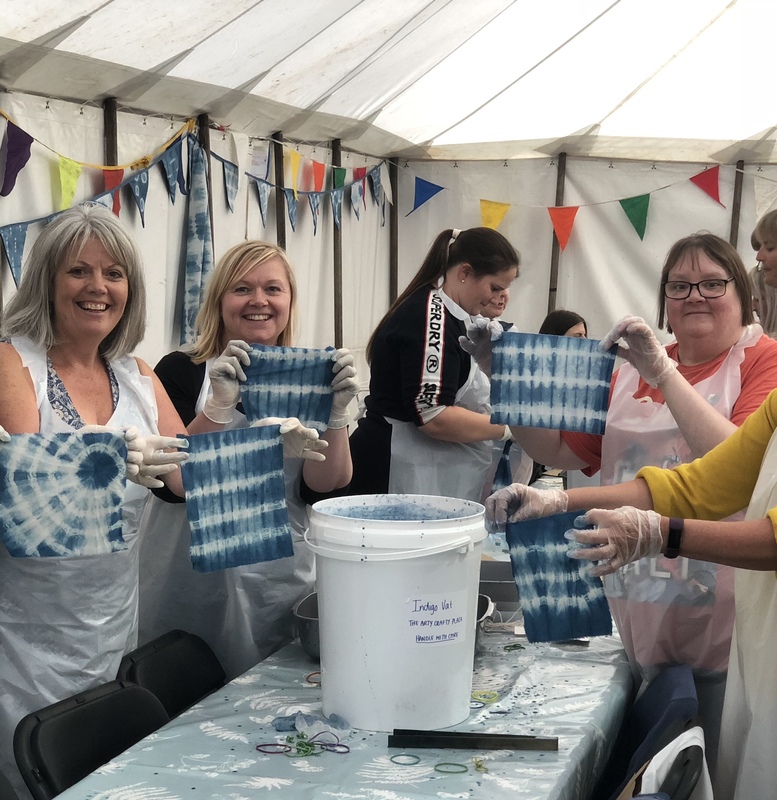 In the morning we will show you how to set up your own Indigo Vat, and dye a selection of fabrics. 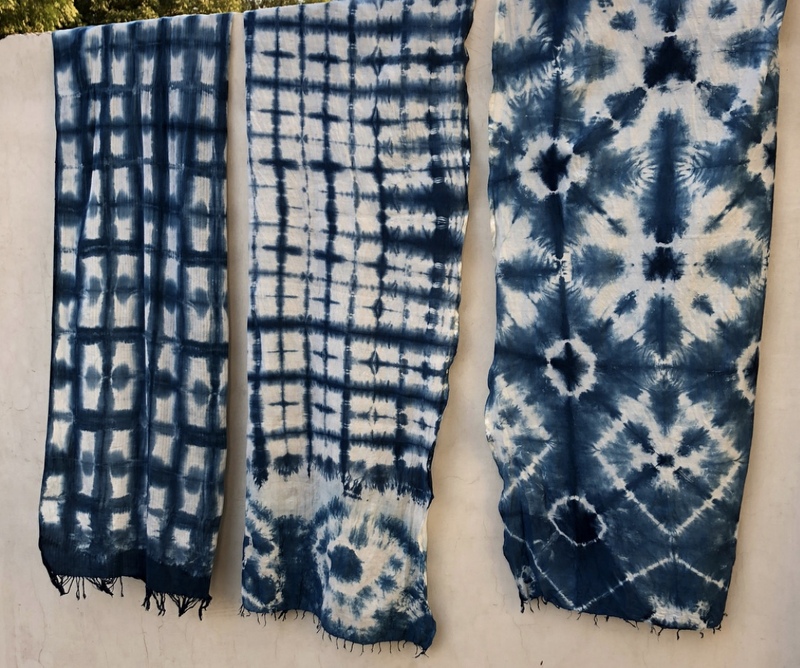 Trying to achieve different shades of colour by varying the length of time we dip the fabric for and producing a selection of different patterns with different Shibori Techniques. 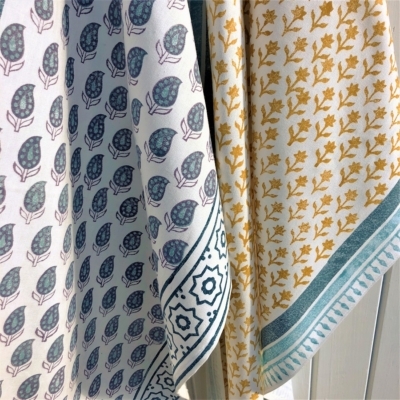 As well as dyeing a selection of fabrics you will also dye your own Cotton Cushion Cover & Scarf. 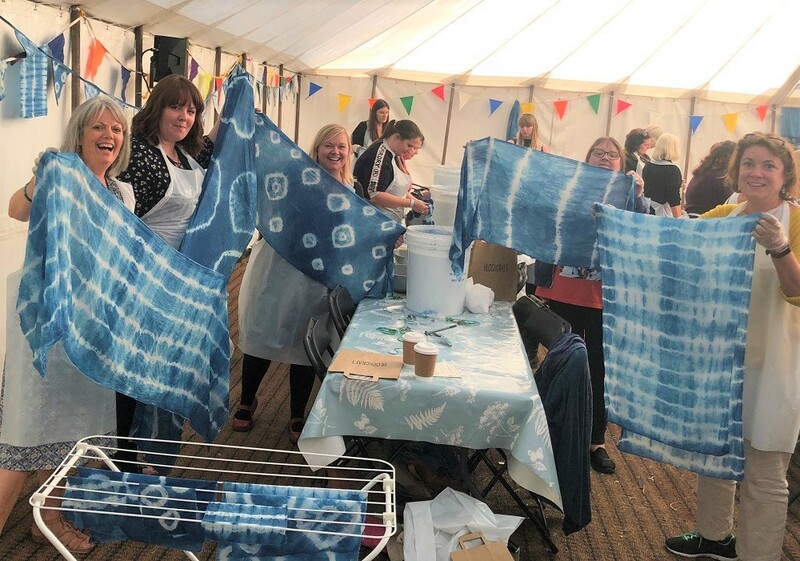 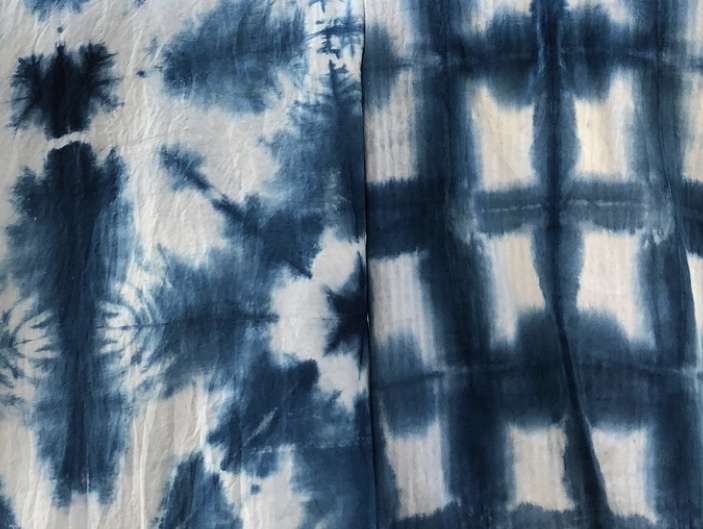 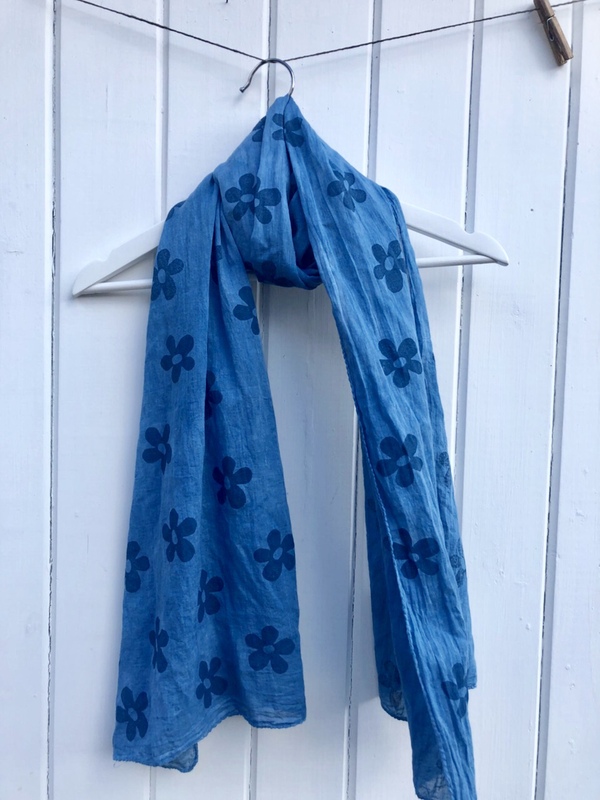 In the afternoon you will be combining block printing and Indigo Dyeing by printing either a Indigo Dyed Scarf or Tote Bag. 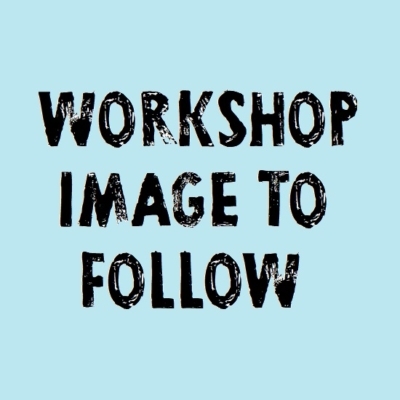 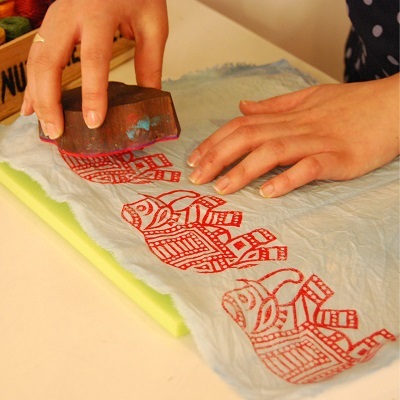 We will give a full demonstration on how to block print, you will then practice until you feel confident using different colours and blocks and once you have your design clear you will move onto your fabric item. 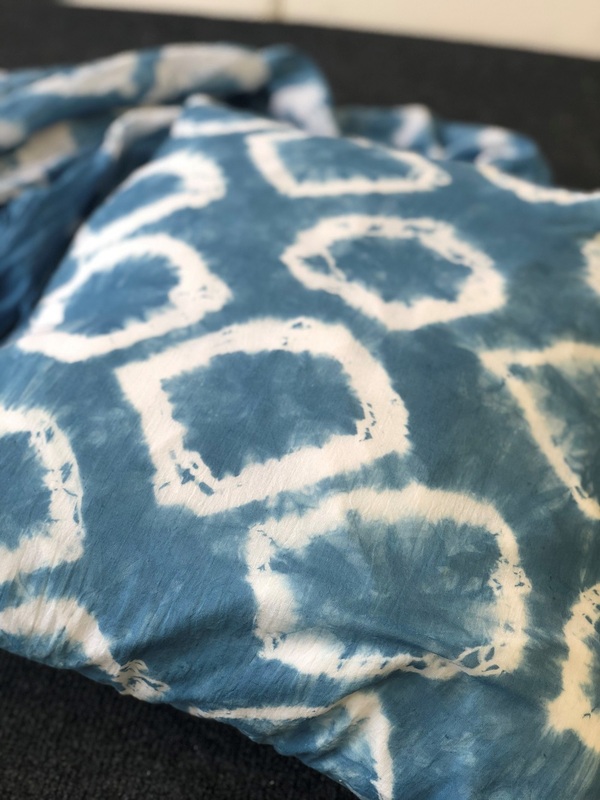 You will leave with the confidence to set up your own Vat and Dye fabric at home, as well as knowing how to Block Print and the great results you can get by combining the two!